Annual run rates are slightly down, while the three-year average has remained constant. 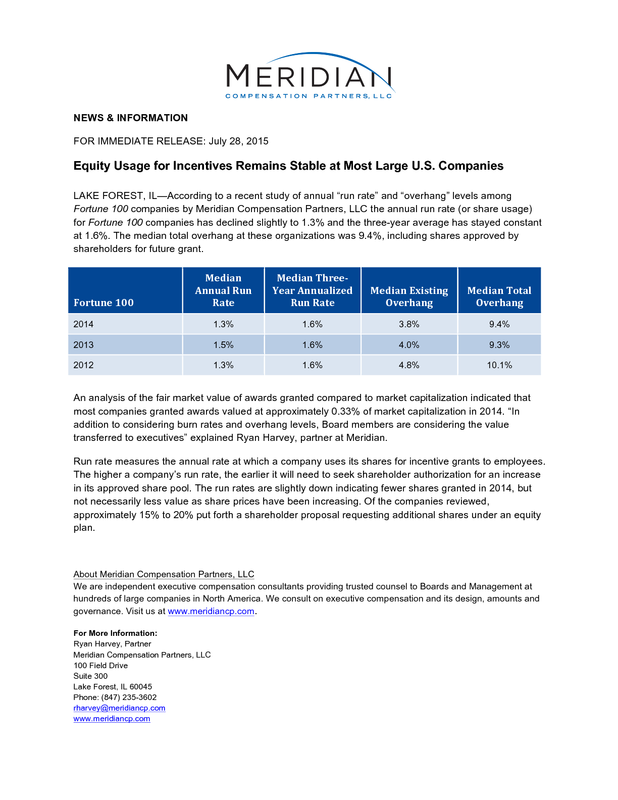 LAKE FOREST, IL—According to a recent study of annual “run rate” and “overhang” levels among Fortune 100 companies by Meridian Compensation Partners, LLC the annual run rate (or share usage) for Fortune 100 companies has declined slightly to 1.3% and the three-year average has stayed constant at 1.6%. The median total overhang at these organizations was 9.4%, including shares approved by shareholders for future grant. An analysis of the fair market value of awards granted compared to market capitalization indicated that most companies granted awards valued at approximately 0.33% of market capitalization in 2014. 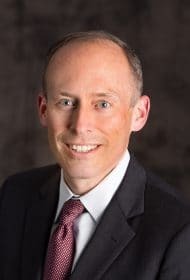 “In addition to considering burn rates and overhang levels, Board members are considering the value transferred to executives” explained Ryan Harvey, partner at Meridian. Run rate measures the annual rate at which a company uses its shares for incentive grants to employees. The higher a company’s run rate, the earlier it will need to seek shareholder authorization for an increase in its approved share pool. The run rates are slightly down indicating fewer shares granted in 2014, but not necessarily less value as share prices have been increasing. Of the companies reviewed, approximately 15% to 20% put forth a shareholder proposal requesting additional shares under an equity plan. We are independent executive compensation consultants providing trusted counsel to Boards and Management at hundreds of large companies in North America. We consult on executive compensation and its design, amounts and governance. Visit us at www.meridiancp.com.